Protect your solenoid valves, fittings, measuring turbines, non-return valves or water heater with the new DN17 strainer. Flooded particles are captured by the washable filter element. The DN17 strainer offers you protection against damage or functional impairment in the inflow. Pre-shut-off is not required as the strainer is equipped with an integrated forced shut-off of the media flow. 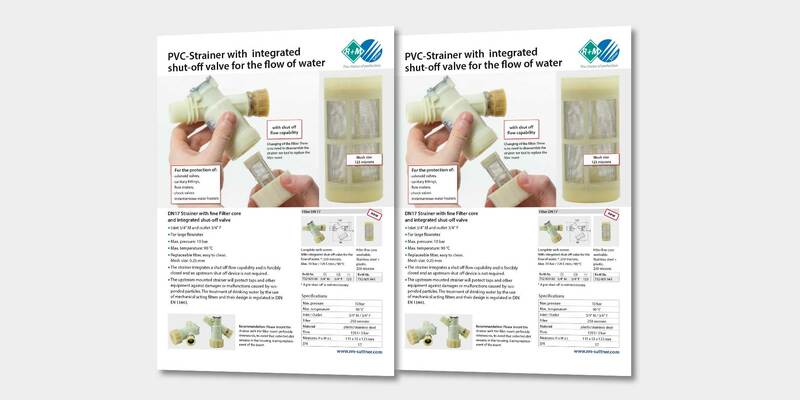 Detailed information on the new strainer can be found on our data sheet.